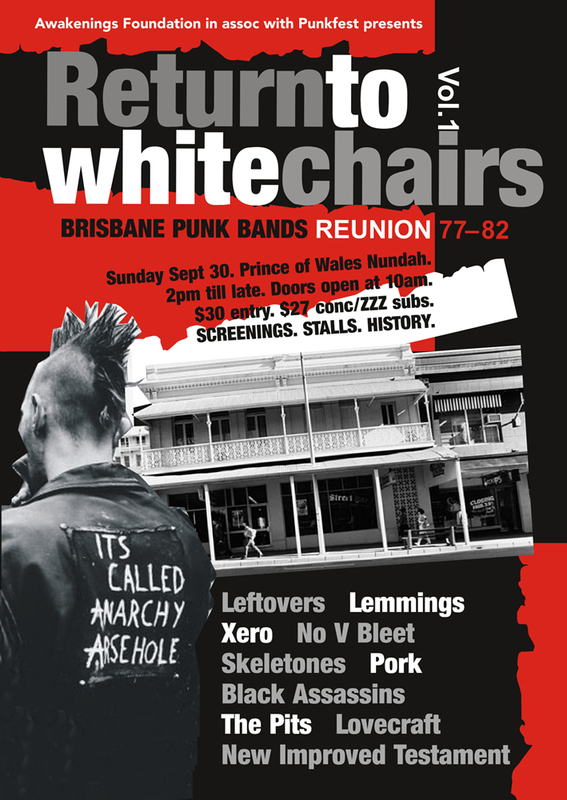 Andy from The Black Assassins sent this poster over for a Brisbane Punk Band reunion gig coming up in September. "You and the readers of Prehistoric Sounds might be interested in a gig coming up which features 10 Brisbane bands from the 1977 to 1982 period including us, the Black Assassins. It's on in Brisbane from 2pm to 10pm on Sunday 30th September at the Prince of Wales Hotel, 1154 Sandgate Road, Nundah QLD 4012."